Metroid and Zelda Wind Waker are nostalgia beasts, so if you’ve played either, you’re about to get some serious excitement coursing through your veins. Star Wars Jedi: Fallen Order is going to take influences from both games, namely in the design of its enemies, as revealed by Game Director Stig Asmussen in an interview with PressStart. While you’re fighting against the various baddies in the game, you’ll probably find yourself facing the same challenges as gamers who tackled Metroid and Zelda Wind Waker all those years ago. Yes, seriously. 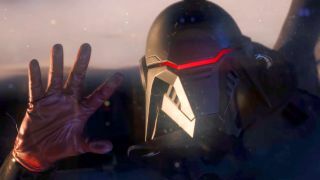 While he was explaining how the enemies in Star Wars Jedi: Fallen Order work, Asmussen said that “a lot of it’s influenced by, you know — If you look at a game like Zelda Wind Waker, as you get different abilities, each enemy is crafted in a certain way, or even Metroid, or something like that, the enemies are crafted in a certain way that once you upgrade, you can think about how you’re going to approach them differently, and maybe they aren’t as big a challenge as they were at one point”. Sounds like there will be some fiends who seem utterly invincible at first, but once you get some souped-up weapons or abilities they crumble like Anakin’s hated sand in your hands. Hopefully. Here's why Star Wars Jedi: Fallen Order could decide the future of EA, or look below to see what's going on this week in entertainment, movies, and TV!